The R-190e features Roadtec’s exclusive anti-segregation design of the feed tunnel, the feed tunnel discharge and the rear augers. 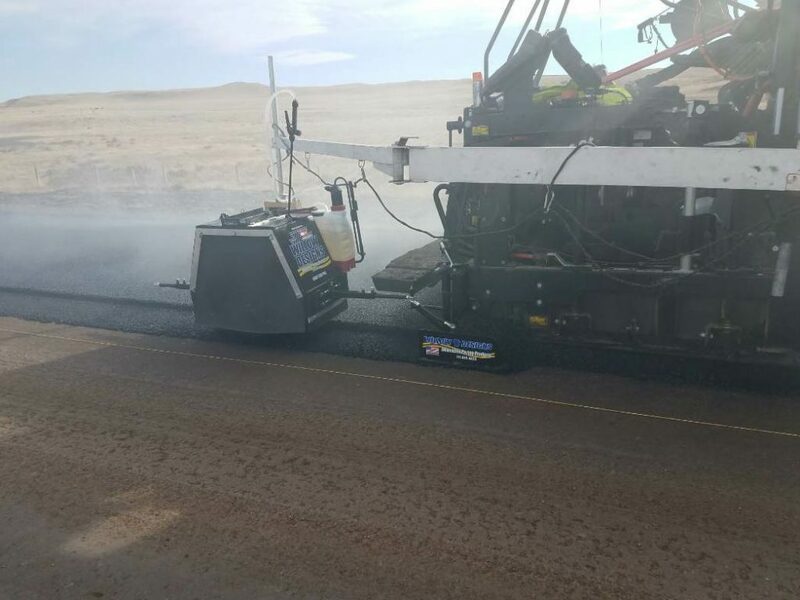 As asphalt contractors clean, repair and store paving and pavement maintenance equipment for the offseason, it’s time to make hard decisions. The workhorses of your fleet may be ready to retire, forcing you to take a long look at financing options for a new or used paver, etc. Maybe you know your trusty sweeper has 500 more hours in it and merely needs a new core for the broom. Order up! A number of original equipment manufacturers (OEMs) responded to our call for information to give you a shopping list this month. But we also have some important information regarding the most prevalent piece of equipment out there: the skid steer. You see these busy machines scooting around piles of dirt, spilled mix, scrap and millings all day long, but do you know the most efficient way to maintain their tracks and treads? Tracks and pneumatic tires represent a significant percentage of total cost of ownership (TCO) for the skid steer on the paving or pavement maintenance job site. Proper maintenance and operating practices can go a long way to ensure that you’re getting the most out of your investment, as well as working toward a safe and productive job schedule. This month’s product gallery intro article serves to identify some initial purchase considerations for the specific piece of auxiliary equipment—the skid steer—that will ultimately affect TCO over the course of a machine’s service life, as well as maintenance and operational factors that will extend the life of each asset and ultimately lower its TCO. This article appears courtesy CASE Construction Equipment. Rubber-tracked compact track loaders, however, earn every bit of their added purchase price when working off-road and in soft/soupy operations. The low ground pressure inherent with compact track loaders results in less rutting and site cleanup at the end of a dirt-work project, which saves in labor and materials (less topsoil, seed, etc). Remember that proper operating procedures start before the machine gets to the jobsite. Check the ground conditions and the terrain to make a number of informed decisions (if you have numerous machines/track styles to choose from) such as the need to minimize travel, the use of steel tracks versus rubber tracks depending on the need to control ground pressure or navigate debris, choosing the narrowest shoe width possible to meet the required flotation, and discussions with operators about the proper operating techniques that match the terrain. Counter-rotation, or pivot turns, causes accelerated wear and increases the potential for de-tracking of rubber-tracked machines. Operators should take wider, more gradual turns whenever possible. Turns are best performed on level ground. Of course, some jobs require hillside work. For these situations, keep in mind that minimizing time on the slope will always pay off in reduced wear and load to the undercarriage. Traveling or operating in or around abrasive materials will shorten track life. Operators should avoid rough stone, jagged rocks, scrap iron or other recycled materials. Crushed rock, concrete, or demolition rubble and rebar also pose a threat to uptime. Operators should also be aware of rough pavements, as well as rock-laden jobsites or similar conditions that can damage tracks and cause them to de-track when stones or other materials can get stuck in the idler or sprockets. Operators should also try to stay on relatively flat surfaces. Operating a rubber-tracked machine with the outside/inside edge of the track turned up can cause damage to the edges and lugs of the rubber track. Avoid traveling with the tracks on uneven ground or on surfaces with obstructions. Given that rubber is weaker than steel, operators can minimize damage and downtime by keeping the sides of the tracks from contacting curbs or walls. It is also important to note that rubber tracks are not direction-specific. In certain situations it is completely within reason to remove rubber tracks and swap sides or flip their directions when wear patterns become apparent. Proper cleaning and storing of rubber-tracked machines also helps ensure their longevity. Flush the tracks and undercarriage with clean water if the machine was used in areas with abrasive or corrosive materials. If being stored off of the machine, the tracks should be stored on their sides to avoid crimps where weak-points could develop in the material. Once rubber tracks are worn or damaged, there is no real way to repair them. Damaged rubber tracks need to be replaced to minimize excessive wear to other undercarriage components. Tread depth is one of the key indicators of the overall health of pneumatic tires, and should be monitored regularly to determine where a tire is in its lifecycle. Consider that each type of tire has its own tread depth considerations, so equipment owners should consult with their dealers to determine the original tread depth and determine the point at which the tire needs to be replaced or re-treaded. Tires should also be rotated regularly. Just like a car or truck, irregular wear can be present for an infinite number of reasons, and the best way to minimize it is to follow the manufacturer-recommended rotation intervals. Operating practices can also have a significant impact on the overall life of pneumatic tires. Operators need to be aware of the manufacturer-recommended load limitations of a machine. Exceeding the load limitations can cause unnecessary wear on pneumatic tires, in addition to other machine components. Don’t let operators run the machine at excessive speeds, as pushing a machine too fast can cause unnecessary wear, and can lead to flat tires, damage to other machine components and downtime. The bottom line is this: whether your fleet is primarily on tracks or tires (or you have a mix of both) equipment owners and fleet managers who want to lower their TCO and get the most out of their investment should put these maintenance practices in place. Use this offseason to educate operators on these core operating practices that maximize the life of some of the most costly wear components of an equipment fleet. BOMAG Americas Inc., Ridgeway, South Carolina, offers the BOMAG Tangential Oscillation, TanGO vibratory rollers for paving. For more information, contact Bert Erdmann at (309) 883-2989 or bert.erdmann@bomag.com. Diamond Road Inc., American Fork, Utah, offers the Diamond Road Smoother for pavement maintenance. For more information, contact Blake Attaway at (303) 913-4867 or battaway@diamondroad.com. 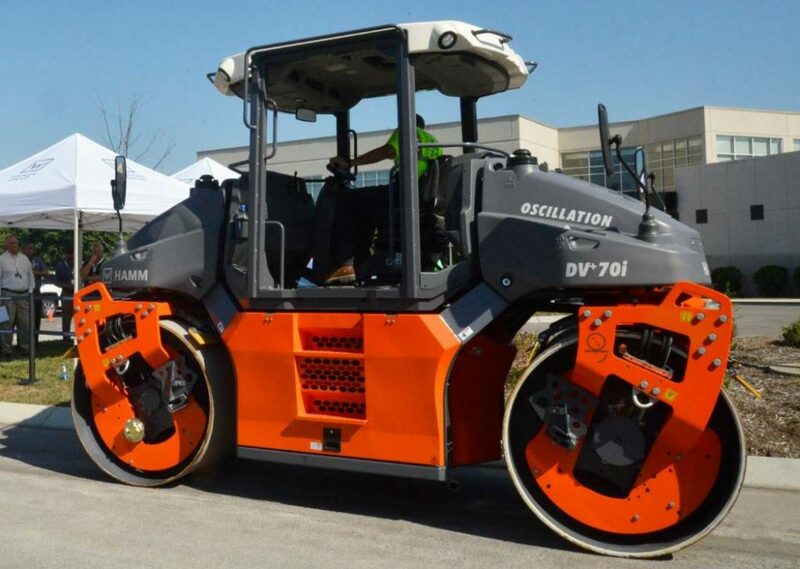 Hamm, a division of Wirtgen Group, Antioch, Tennessee, offers the Hamm DV+ 70i compactor for the paving marketplace. For more information, contact Matt Graves at (615) 501-0600 or matt.graves@wirtgen-group.com. Hitek Equipment Inc., Kenosha, Wisconsin, offers the Pavijet MiniPaver for pavement maintenance. For more information, contact Shane Sommers at (262) 842-1700 or shane@askhitek.com. John Deere, Moline, Illinois, offers on-board grade indication as a factory or field kit option on select large-frame skid steers and compact track loaders. For more information, contact your local John Deere dealer. KM International, North Branch, Michigan, offers the KM 8000T asphalt hotbox reclaimer for pavement maintenance. For more information, contact Michael Blake at (800) 492-1757 or mblake@kminternational.com. LeeBoy, Lincolnton, North Carolina, offers the LeeBoy 6150 asphalt paver for paving. For more information, contact Bryce Davis at (704) 966-3300 or bdavis@leeboy.com. Neal Manufacturing, a division of Blastcrete Equipment LLC, Anniston, Alabama, offers its Asphalt Road Preservation Package for pavement preservation. For more information, contact (770) 830-1282 or eric@nealequip.com. Pelican Products Inc., Torrance, California, offers the Pelican™ 9600 LED modular light. 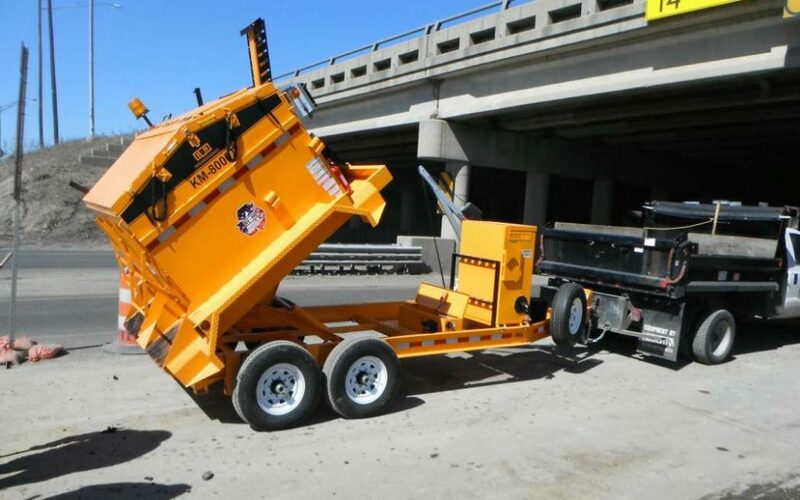 PSS, Cleveland, Ohio, offers the RoadQuake RAPTOR Rumble Strip Handling Machine for pavement maintenance. For more information, contact David McKee at (216) 403-0898 or David.McKee@pss-innovations.com. Rhumbix, San Francisco, offers a system update for its Android application that provides field collection data and sharing. 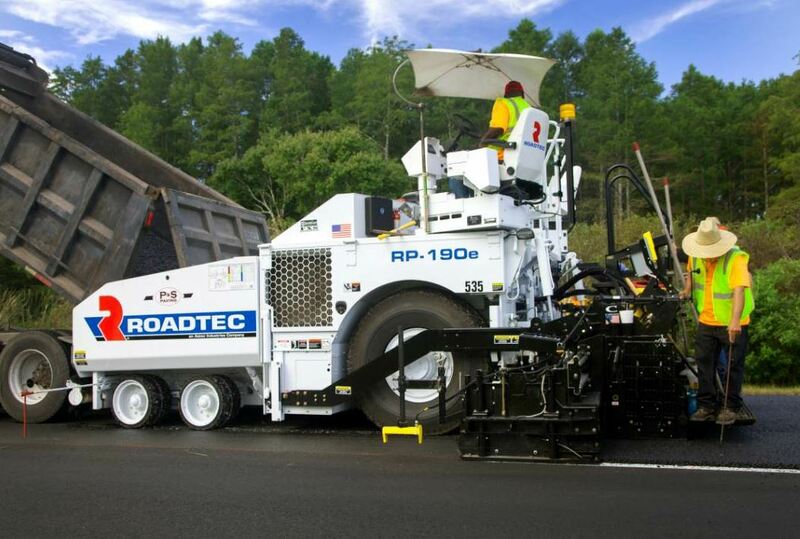 Roadtec Inc., Chattanooga, offers the Roadtec RP-190e for paving. 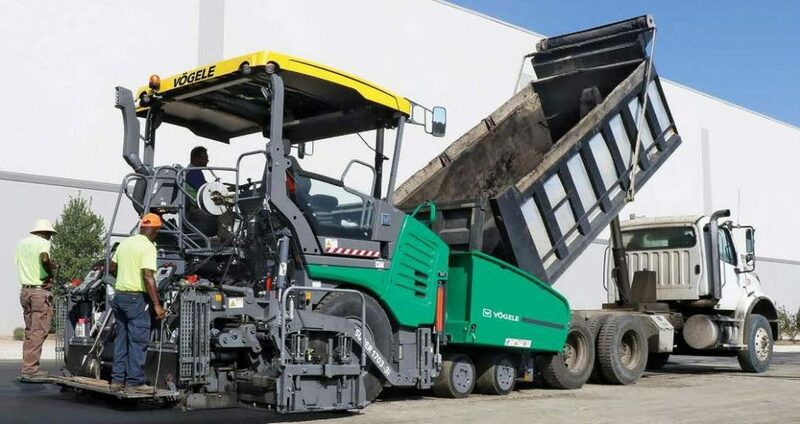 For more information, visit Roadtec’s website to find your local rep.
Vogele, a division of Wirtgen Group, Antioch, Tennessee, offers the Vogele Super 1703-3i asphalt paver for the paving marketplace. Willow Designs, East Berlin, Pennsylvania, offers the Notch Wedge & Pneumatic Roller System for paving. For more information, contact Jerod Willow at (717) 919-9828 or jerodwillowdesigns@gmail.com. 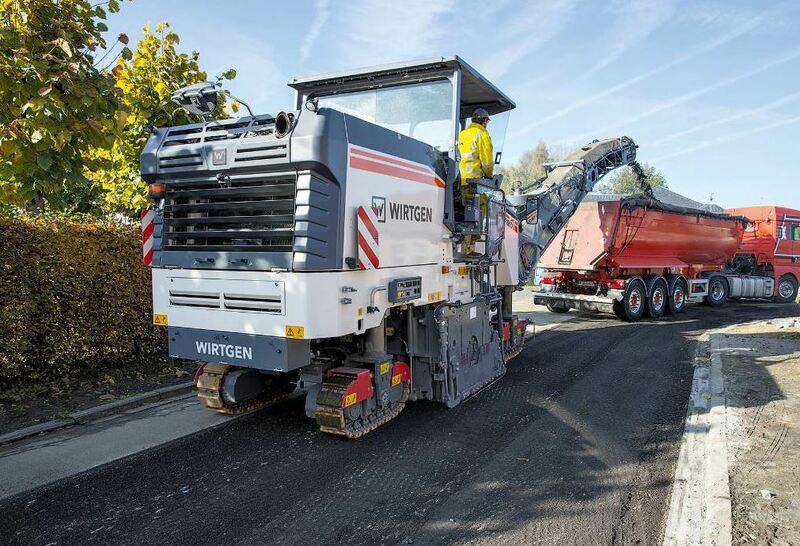 Wirtgen Group, Antioch, Tennessee, offers the Wirtgen W 150 CFi for the paving marketplace.